Albakov Batyr Muratovich. 1983. kidnapped Juli 10, 2009. Found killed in Juli 21,2009. 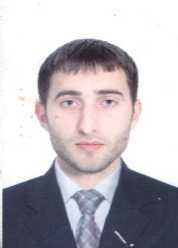 On 10 July in the village of Ordzhonikidzevsky, Republic Ingushetiya, About 9-10 unidentified persons in two “VAZ-21110” automobiles detained Batyr Albakov and took him to unknown destination. According to Albakov’s mother all of them were without masks, in camouflaged forms, one of them was in civil clothes, with a folder of papers. Since the fate and whereabouts of the subject remain unknown. Nazran District Department of internal affair denied its involvement in the crime. Batyr Albakov 6 years works as the mechanical engineer at republican airport «Magas». He has two higher air educations, married.